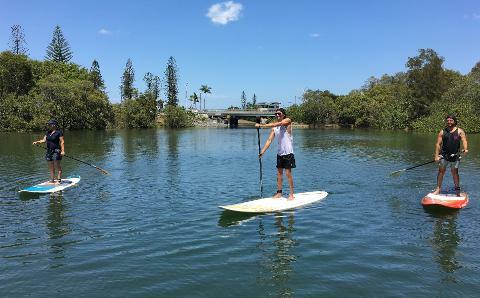 2 hour Guided tour of the waterways of the Surfers Paradise flat water only. Imagine paddling past the high rise hotels of Paradise one minute, and then cruising past the mangroves enjoying nature at its best! The Best of both worlds. Its an awesome feeling standing on your paddle board cruising with the dolphins & creating amazing photos for you to share later with friends & family. After a rest stop, next on the agenda is cruising past the mansions of Paradise Waters then under the bridge through to the peaceful mangroves of Macintosh Island Park where you will see an abundance of bird life, spot the family of peacock or perhaps a dolphin or 2. The calm waters create ease of learning SUP (stand up paddle) and your instructor will be with you every step of the way. Whether you choose to meander along taking in the peace and tranquility or racing everyone and testing your paddle skills, you will enjoy SUP fully and want to do it again and again. 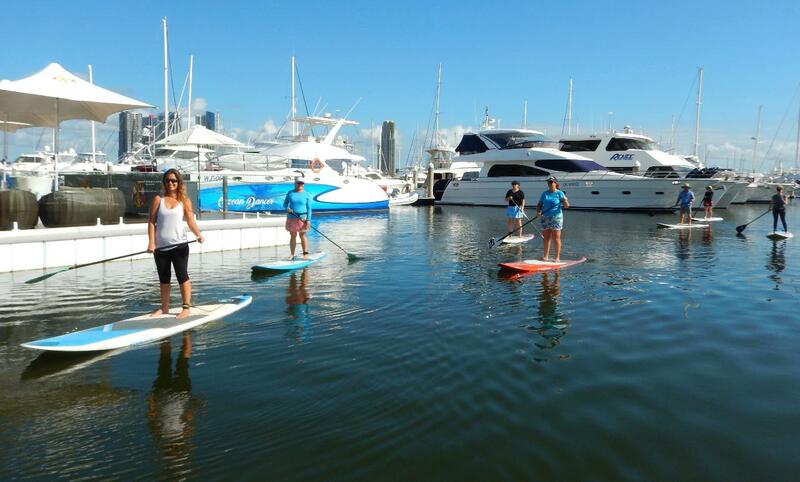 We love to SUP and we love to share the experience with you. Stand up paddle boarding is fun, exciting and also very relaxing. As a fitness regime SUP (stand up paddle) is becoming more popular as paddlers find it is a calorie burner even if you are leisurely meandering on the water. Go Vertical SUP has the best quality boards on the Gold Coast & Surfing QLD accredited instructors. The dolphins visit us in the river quite often so keep an eye out for them frolicking in the shallows of the river at Budds Beach.